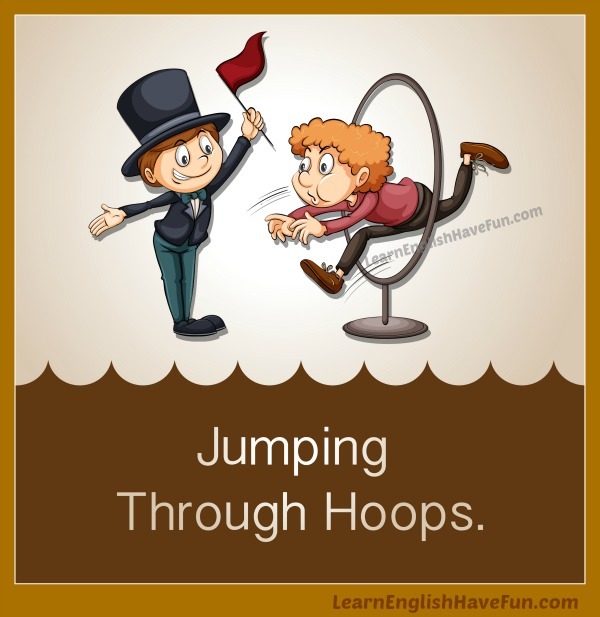 Jump through hoops: to do a series of difficult or unpleasant things in order to get something you want or something you need to do. As you can see in the picture above, one of the men is directing the other man to jump through a hoop—just like they train animals to jump through hoops at the circus. That is the metaphor of this idiom—a person having to jump through hoops like a circus animal. I had to jump through hoops to get to my flight. First, I took the bus, then the subway, then another bus to the airport, then a shuttle bus to the terminal and a tram to the gate! We went through hoops to get a new hotel after our travel agent had booked us into a noisy hotel that was undergoing renovations. I went through hoops getting to this appointment through the snow and ice and you're telling me that the doctor didn't come in today? Why didn't you call me earlier! I jumped through hoops to get you a job so you're going to do it whether you like it or not! Your father had to jump through hoops to get you tickets to the concert so I hope you really show him how much you appreciate the effort he made for you. Susan is the worst boss I ever had—I was constantly jumping through hoops for her. If you want to be an actor be prepared to jump through a lot of hoops to get work. I heard she got tired of jumping through hoops and moved back home a week ago. We had to go through a lot of hoops to bring our dog with us over to Europe but we couldn't imagine living a year abroad without her. Our school is trying to get accreditation with the Department of Education and it seems like all we are doing is jumping through hoops. Your wife has you constantly jumping through hoops! That would make me go crazy. I'll jump through as many hoops as I have to in order to get a job with Apple. My husband jumped through hoops to get my son into private school and he got expelled the second day! Working in the private sector is amazing—I used to have to go through hoops just to get a new pen and notebook. Have you signed-up for my free newsletter? 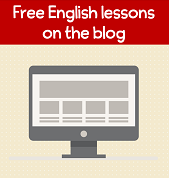 It's the best way to find out when I add new lessons and information to my website. You'll also be first to find out when I launch my writing contests. Let's practice this idiom by writing at least one practice sentence in the comments below. I will provide feedback and correct any mistakes you might make.